Stumbling upon Headingley you would be led to believe it was just like any other small suburban town outside of a busy city centre, but it is so much more. Having moved to Leeds just over a year ago I wouldn't call myself an expert on the area, far from it in fact, but Headingley is somewhere I will always want to explore. A bustling hive of activity scattered with little coffee shops, restaurants and the cutest bakeries, you could be mistaken for being in a quaint country village rather than the students' social hub. During the day there is an abundance of charity shops to browse full of cheap, vintage finds and records your mum and dad would be proud of. As for food, I tried one of the bakeries for the first time this weekend, some where I can't believe I hadn't frequented before. The perfect antidote to a tough week of deadlines and library sessions. The atmosphere of 'Love Rouge Bakery' is one you would associate with the set of a rom-com, reminiscent of the part where the lead (probably Hugh Grant) spends his first date with the girl and realises that it's love. Slightly side-tracked with thoughts of Hugh Grant, I order a cupcake and a cup of tea. The cupcake can only be described as heaven, light and fluffy with just the right amount of frosting and the tea served in a little patterned teapot that would only be fit in your grannie's kitchen. Decorated with bunting and Cath Kidston-esque interiors this is perhaps the most charming little place ever- I would definitely recommend it. Headingley all changes when it hits around 5pm, the whole mood takes a drastic turn. This is when the infamous 'Otley Run' begins. Students all out in force drunkenly running can be quite a daunting experience- unless you're one of them of course. 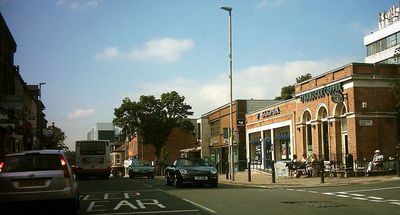 A massive student pub crawl starting at Woodie's Ale House and making its way all along Otley Road down to Hyde Park; a firm favourite among Leeds Met and Uni students alike. The Run can last hours and for the heavyweights onto the clubs beyond. I myself being quite the part timer have never managed to complete a full Otley Run; a fact I wish to rectify in my second year of university. 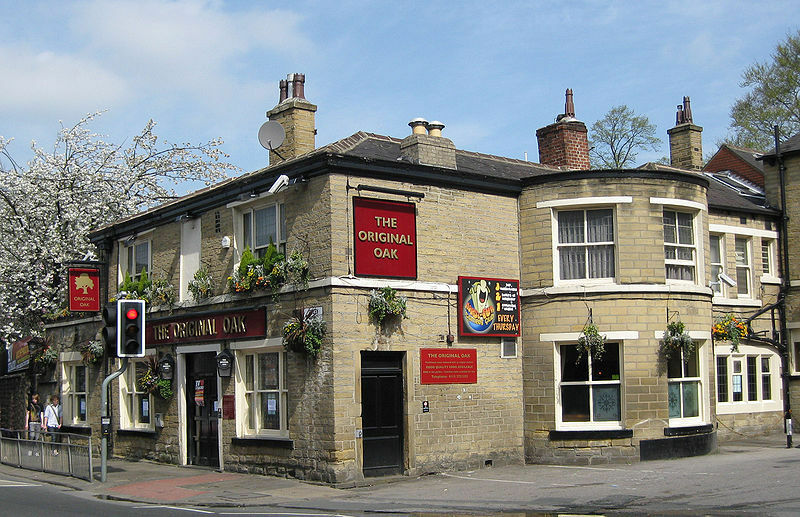 Despite the tsunami of students moving like a swarm of wasps from place to place most evenings, the pubs in Headingley are very pleasant. 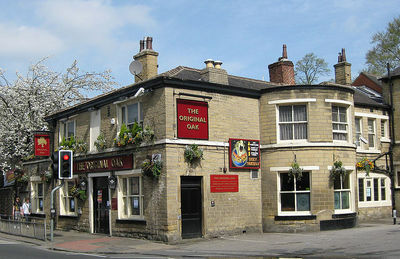 My favourites are The Original Oak and The Skyrack, both with good, cheap menus and a friendly atmosphere. There are several cocktail bars if you are feeling in a more sophisticated mood, Arc being my bar of choice. Two for One cocktails in a modern, sleek venue is a treat and the Pinki Tiki always goes down well. So if it's an eclectic mix of fashion, drinking, music and food you're looking for all mixed with a friendly student atmosphere Headingley is the place to be.